To round off the Really Wild Veg project for 2014 here is a selection of images taken throughout the year. 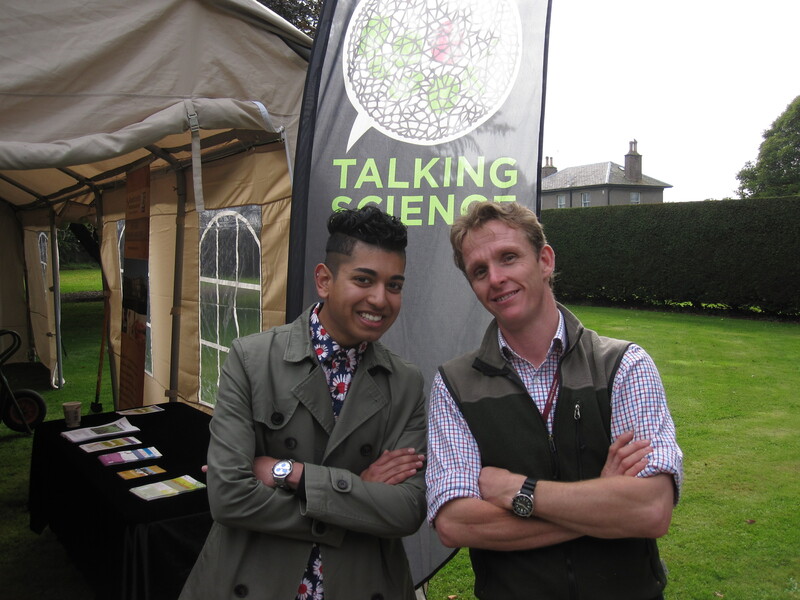 It has been the inevitable mix of successes and failures in terms of the crops themselves, but the partnerships developed between all those who have helped to make this exploration of our vegetable heritage possible has been a real pleasure. Thank you to everyone who has been involved. 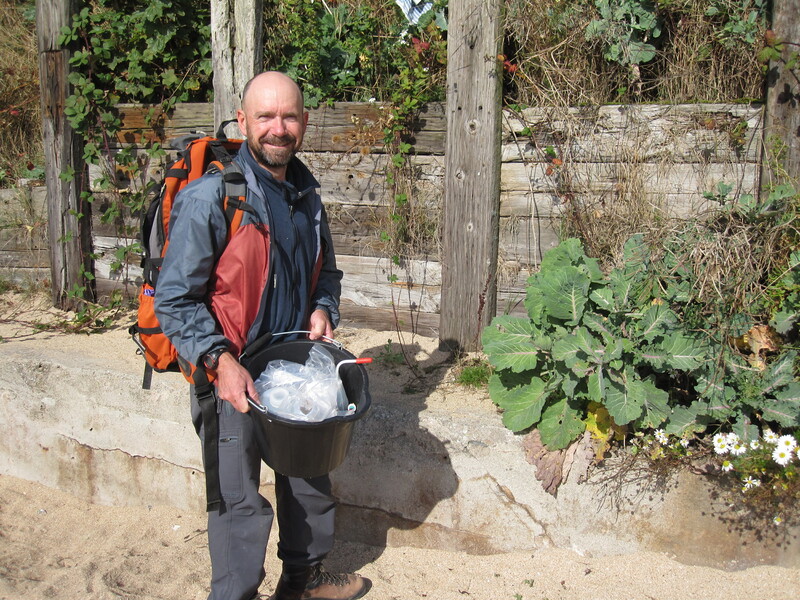 The hope is that this project will run again next year and the crops we investigate will change so that we can keep learning more about vegetables and their wild relatives. As soon as I can I will post a summary of the nutritional analysis carried out by the Rowett Institute of Nutrition and Health. This is still not complete so please be patient. 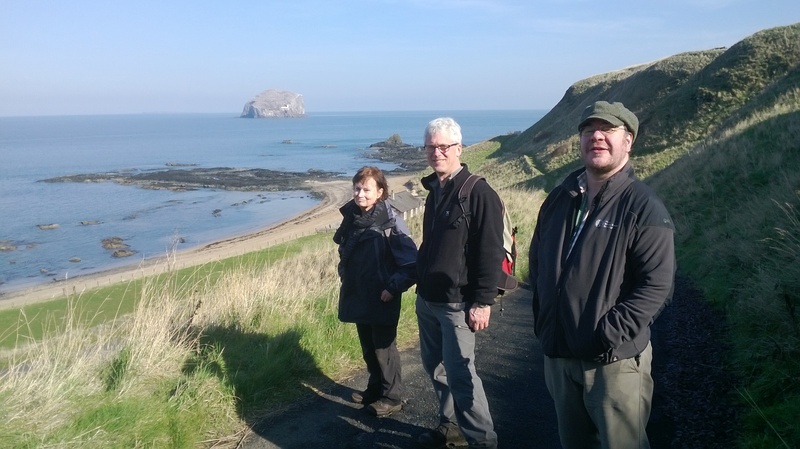 Jan, Andy and Simon searching for wild carrot in East Lothian during March 2014. 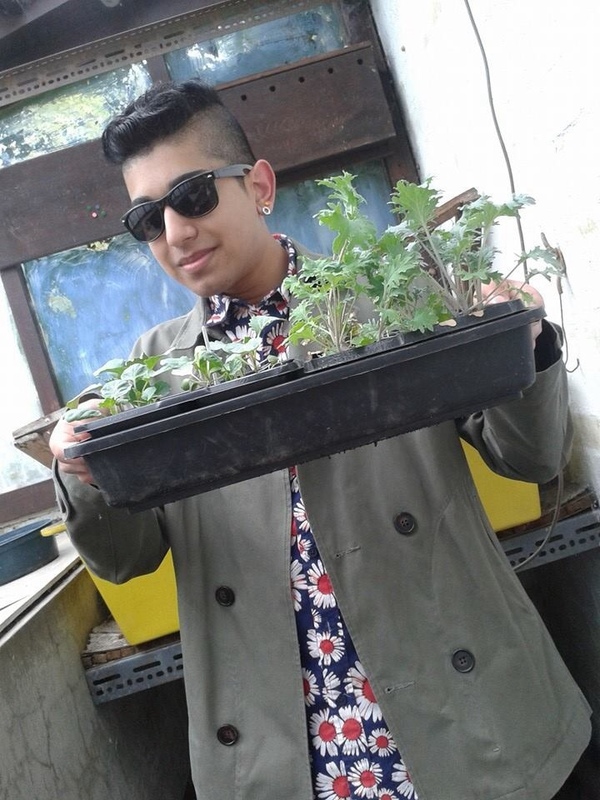 Josh proves that horticulture and sharp dressing are not mutually exclusive. 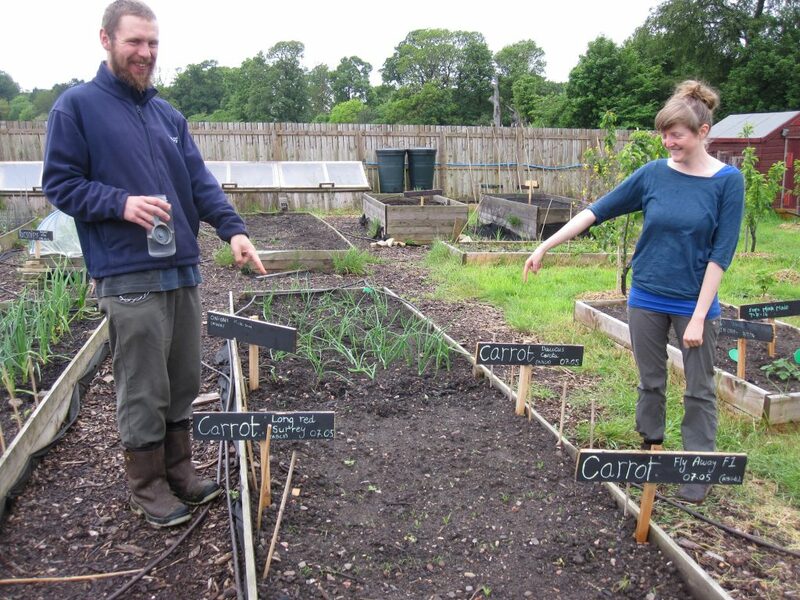 Dee and Michael with the newly sown trial plots at Hermitage Vegetable Garden, Edinburgh. 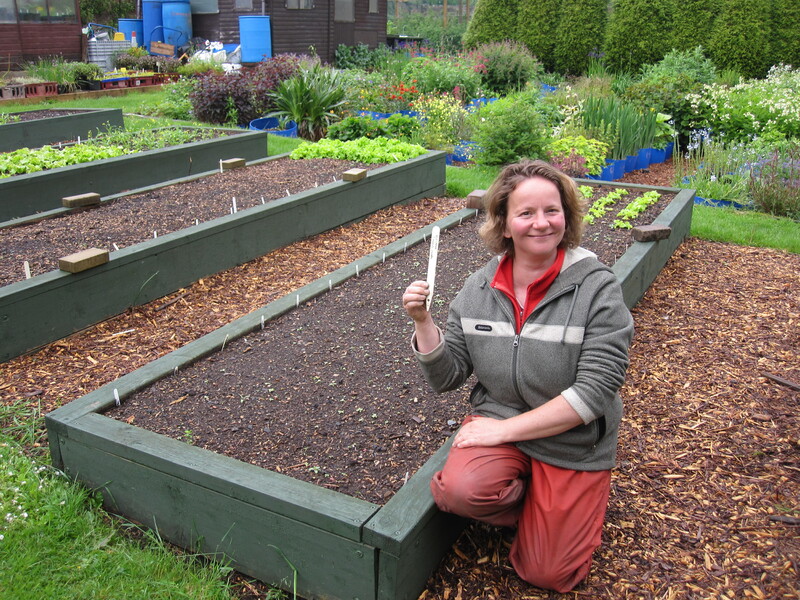 Elinor and the trial plots at Redhall Walled Garden, Edinburgh. 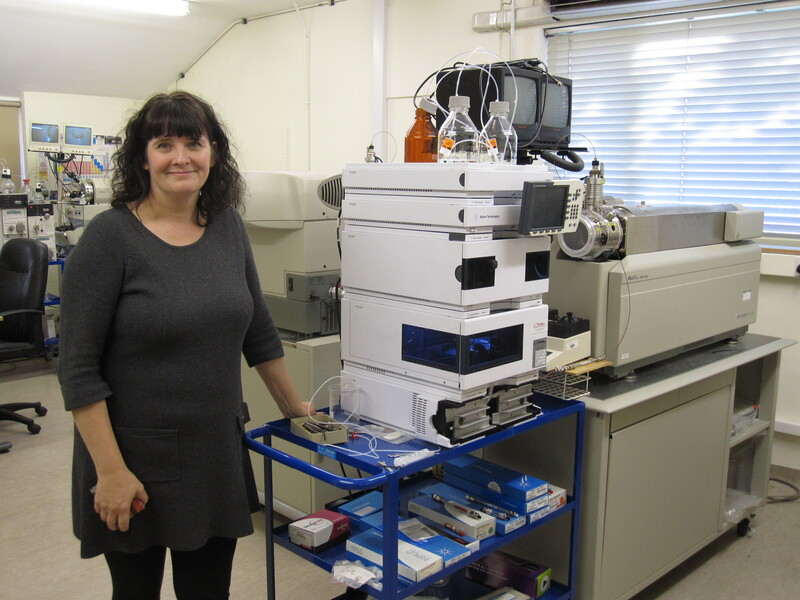 Wendy with the masspectrometer at the Rowett Institute of Nutrition and Health that has been used to analyse the chemical profiles of the crops for compounds linked to maintaining health. 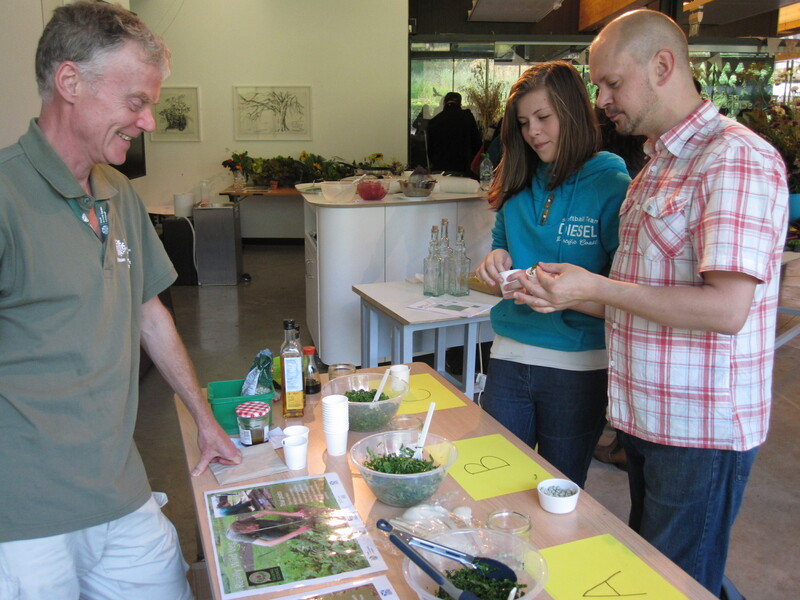 Malcolm running a public taste test at the Royal Botanic garden Edinburgh using the wild cabbage and both domesticated kales. Richard from the James Hutton Institute completing the final soil sample so that the influence of soil on plant chemistry can be assessed. 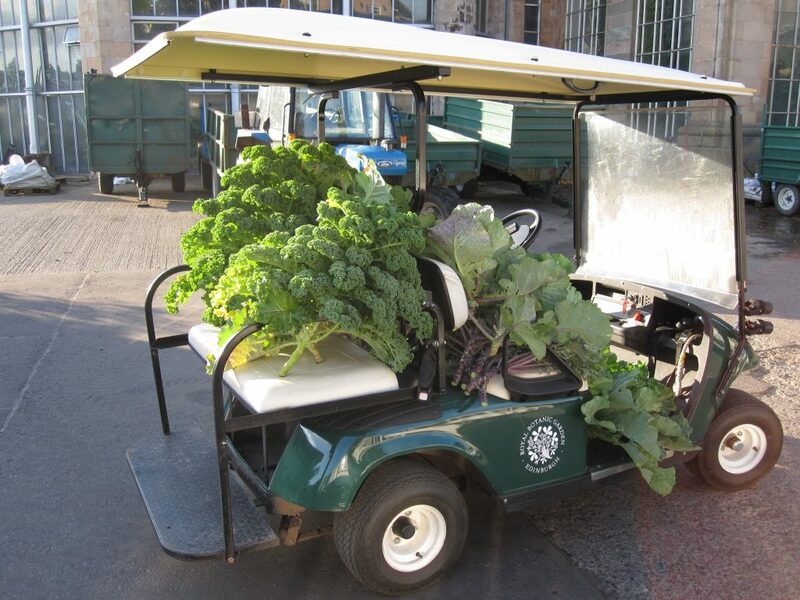 The Botanics buggy gets pressed into service to transport the crop for weighing.